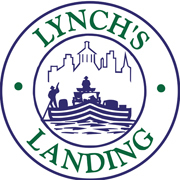 Lynch's Landing is a non-profit volunteer organization dedicated to the development and revitalization of Downtown Lynchburg. Lynch's Landing presents WINTER CHEERS! Friday Cheers has been bringing thousands of people downtown to party with a purpose for 18 years. Join us as we continue the summer series into the winter! It's Friday Cheers only inside and more intimate! Only 800 tickets will be sold for each night so get your tickets while they last! The event is standing room with very limited seating around the room. Don't worry though, you will be up on your feet dancing the night away anyway!